The IceHogs return for another season of hard-hitting hockey action! 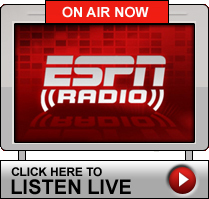 Become a Facebook Fan of ESPN Radio 1380 today! Follow ESPN 1380 for all the latest news, lineups, events and contests! Janesville Jets Hockey - Its a Blast! For tickets, schedules, gear and more, visit janesvillejets.com. Get your MMA Fix and go Inside the Cage! Saturdays from 8a-9a! Listen to live Marquette Golden Eagles Basketball! Hear the action all season long on ESPN 1380! Hear all the live NBA play by play on ESPN 1380! Join host Todd Behling and co-host Ed Cluka Sunday Mornings at 9a for the LTN Hour, Let's Talk Nascar! NASCAR Sprint Cup Series and NASCAR Nationwide Series races can be heard right here on ESPN 1380! Catch Mike and Mike in the Morning, weekdays from 5a-9a on ESPN 1380! Join the Herd with Colin Cowherd, weekdays from 9a-11a on ESPN 1380! Get in the Jungle with the Jim Rome Show, weekdays from 11a-2p on ESPN 1380! Hey sports fans! Do you also want everything that rocks? We've got it at 105.9 the Hog! Packers, Badgers, Brewers, Bucks and more! Follow all things Wisconsin at ESPNwisconsin.com!